Driwood Custom Millwork is the masterful result of our expert craftsmen, whose attention to detail; classic styling and standards would turn the head of any 18th century statesman and is in accordance with today’s Architectural Woodwork Institute (AWI). 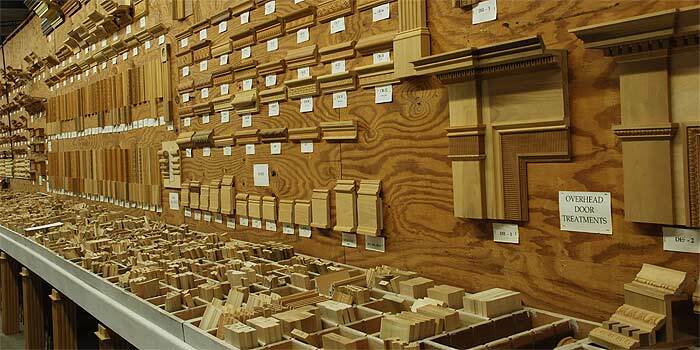 Choose from more than 500 moulding designs that are in stock, or customize from thousands of other combinations. Driwood’s abundant collection of designs piece together to form authentic, elaborate recreations and original designs. Driwood Moulding Company supplies the needs of our clients; from professional architects and interior designers to individual home and building owners our custom design staff are available each step of the way. Custom woodwork items include: entrances, special doors, door treatments, raised panel work, case and cabinet work, custom mantels, radius moldings to match any profile and other specialized architectural designs. Driwood is unequivocally hands-on – from making on-the-job measurements and complete detail drawings to the shop work by skilled craftsmen and coordination of installation, along with constant communication with the client. Exquisite custom cabinet work and paneled wall sections must be made with exacting precision tailored to fit proportionally with the rooms’ dimensions. Details must also blend with the desired decor of the room. Driwood mouldings are stocked in unfinished select poplar wood, which can be stained, glazed or painted and shipped in random lengths from 5 to 16 feet within one to two weeks. Specified lengths, special profile interior and exterior mouldings and other wood species such as, walnut, oak, cherry and mahogany can be made to order on a quotation bases.